The threat of electromagnetic pulse (EMP) hasn’t gone away, just because President Trump managed to get North Korea to the bargaining table. I haven’t seen any news stories saying that the North Koreans have done away with their stock of nuclear arms or their missiles. All they’ve really done is to stop all the testing they were doing the last couple of years. There have been exactly zero concessions across the bargaining table. Some notable sources have stated that North Korea is still planning an EMP strike against the USA, expressing concern that North Korean satellites currently in orbit could be carrying nuclear warheads for that very purpose. As those satellites travel in a south to north orbit over our country, we have no defenses arrayed against such an attack. But North Korea isn’t the only potential enemy out there. Iran is still working on their nuclear program and supposedly has a missile capable of ballistic flight. Then there’s Russia. While everyone ignores the Russian bear, Putin himself made a point of reminding our government that they still have a lot of nukes. That wasn’t accidental and it’s not something that can be ignored. Should Russia’s leadership decide that meeting their goals requires eliminating the competition, otherwise known as the United States of America, they are well prepared to do so. There are two basic ways that electronics will be damaged by an EMP. Protecting them from an EMP means protecting them from both of these potential sources of damage. Direct EMP radiation from E1 & E2 – The first two pulses of the EMP will send massive amounts of electrical energy into the atmosphere, where it will be attracted to anything metal, like wires. This will enter electronics, burning out circuitry. But the key here is the wires, which act as an antenna, capturing that electric energy. Devices which don’t have wires attached to them are less likely to be damaged. Voltage surge from E3 – The third pulse will affect the Earth’s electromagnetic field, which will end up causing a massive voltage surge in power lines. Any electronic device which is plugged into your home’s electrical current will receive this surge, blowing through any surge protectors you might have and overloading the device’s electronics. With all those EMP risks in mind, it only makes sense to be prepared for the potential risk of an EMP attack. While it may never come, that’s not a chance we can afford to take. So here are some new ideas of how you can protect yourself from an EMP. A number of companies are now manufacturing EMP protective phone cases. These cases are essentially a portable Faraday Cage, just the right size for your phone. The case has the necessary metal shielding hidden away inside the cover, making it portable protection that’s not particularly obvious or obtrusive to your day-to-day life. The one problem with these cases is that they will cut down your signal somewhat, due to the shielding. You may find yourself missing some calls, especially if you are at the edge of a cell’s coverage area and you don’t have a strong signal. To mitigate against this, be sure to use one that fits your phone well. If it is too big, it is more likely to cover too much of your antenna. Most people use laptop computers today, rather than desktop computers. This is advantageous, as you can buy EMP protective covers for laptop computers. These cases won’t protect your laptop if the case is open and you are using it, nor can they protect it from the voltage surge; but when the laptop is closed up and not in use, as well as not plugged in, it will be protected. Bluetooth devices are naturally protected from EMP, because they don’t have electrical connections attached to them, bringing in the E1 & E2 pulses. Nor are they going to receive the voltage surge caused by the E3. Even if they are plugged in to recharge, the E3 pulse will probably destroy the charger, which will prevent it from reaching the Bluetooth device. The advantage here is that buying Bluetooth devices, especially small ones, provides you with a level of protection that you wouldn’t otherwise have. Even if those devices are in operation during the EMP, they are likely to continue working. The trick then will be charging them. Most people don’t know it, but solar panels are naturally resistant to EMP. While the EMP will cause minor damage to them, it will only reduce their output by about five percent. Considering that solar panel systems are already designed with a buffer to account for inefficiencies and cloudy days, you should be able to use your solar panels more or less like normal. The problem will be in using the power coming from the solar panels. This normally flows through a solar charge controller, then on to charge a battery backup system. The power can then be drawn out of the batteries directly or run through a voltage inverter to turn it into house current for use. The solar charge controller would definitely be destroyed by the EMP and the voltage inverter probably would as well. But the batteries should be able to ride out the EMP without damage. So, having a spare solar charge controller and voltage inverter would allow you to have your own power generation capability back up and running, within an hour after the EMP shuts off the electricity. That replacement solar charge controller and voltage inverter should be stored in a place where they will be protected from the EMP, like a Faraday Cage. If you don’t have a Faraday Cage, they can be kept in any metal enclosure, such as a galvanized metal trash can, a steel filing cabinet, a metal toolbox, a metal cabinet or even the trunk of your car. As long as it is in its packaging, so that the device doesn’t touch the metal skin of where it is stored, it will be protected. An EMP is nothing to joke about, but I had to chuckle at the suggestion to protect your electronic gizmos, even though the infrastructure that makes them work will most likely be toast. My bigger concern, in the event of an EMP would be to insure I have a water source, stocked food and supplies, and a secure home. Look around your home. Do you have something as simple as a manual can opener? We’ll need hand operated appliances and tools more than a computer. You are so lucky to have lived thru Camille. I was like between 10 and 12 when it was around and living in central Florida. I was TERRIFIED that thing with it’s 225 mph winds would come hit us. I still can remember how terrified I was of it. And the pictures of what it did when it hit did NOT help any! I actually had thought of manual can opener, and I now have 3 good ones, and a couple of those little cheap army ones I probably would not be able to operate (but I’m sure someone would be able to)! Did anyone ask for matches? I keep a ton of matches and bic lighters on hand. A good thing to have if it’s an extended (or permanent) outage! Smartest thing to do for a can opener is get a few P-38’s. I always carry one in my wallet just in case. You can always scrounge canned good. Got a couple I got back in the service in the 60’s and there still working great even with regular use! P-38’s are fine if you have strong fingers, but they are nearly impossible to use with arthritic fingers. I agree. P-38s are okay when you are 20 years old and in the field, but even then, I had managed to obtain a U.S. Marine Corps pocket knife based on the Boy Scout knife with a can opener, bottle opener/screw driver combo, awl and knife blade. I always used that to open my C-rations. When my brother was ordered to Viet Nam, I originally got him a combat knife then realized the one thing I used way more than my bayonet which was issued to me, was my USMC/Boy Scout knife, so I got him a Victorinox Swiss Army knife with scissors and nail file and Phillips screwdriver. I also got one for myself. His is somewhere in a rice paddy in the Mekong Delta. I still have mine sans scales, toothpick and tweezers. The knife blade is kind of wobbly but the can opener still works as do the other blades and I finally am able to get a really sharp edge on the knife blade. I carry a Leatherman now as my EDC knife but I still prefer the can opener on the Swiss Army knife and the old Boy Scout knife. I love Leatherman products and have two or three of them. Although, when my fingers won’t cooperate due to the RA, they are very difficult to use. You may want to check with Victorinox. They might repair the one with the missing parts. Homesteader: AGRussell.com sells a tool called the Steel Thumbnail, part number RUL-DPT-CF which is a little tool designed to fit the nail nick in folding blades of all types It is cheap, ranging in price from $6 to $9, depending upon the type of decoration on it. I have one attached to my folding knives and Leatherman tools to help open the blade. You might check it out. It also is a great help in opening split rings for keys which have been a challenge in recent years to get keys on and off this rings. In a real pinch it can be used as a very short screwdriver too. It is one of those little devices that you are constantly finding a new use for. It attaches nicely if your pocket folder has a hole for key chain or the folding device on many Leatherman knifes for a keychain. Thanks LCC, I will definitely check them out. I can use help sometimes getting the Leatherman opened. On this side of the country, we have a little knife shop called the Smokey Mountain Knife Works (smkw.com) in Sevierville TN. Interesting place. It’s part museum and part store. If you travel any, it would be worth adding to your agenda. The P-51 is far better as it’s a lot bigger!!!! Joe and EddieW – I agree that P-51’s are better. When I was still in the Air Force, I kept a couple of them with my bag for deployment. 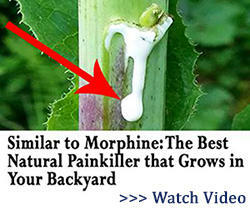 But even those are, for me, next to impossible to use due to rheumatoid arthritis. The only manual can opener I can use now is one with a crank on the side instead of that little bar to turn. I happen to have a Gerber Suspension multitool that I got at Menards. It’s my everyday carry and it has a can opener on it, and the tool itself makes a big handle. Perhaps the up and down motion used with the multitool would be easier than a crank. Yea When you think about it woo you saved your cell phone. Your provider is most likely down maybe even the satellite. If ether or both are true who you going to call on your working cell phone. Thus using the same frame of mind the only thing your computer would be good for would be stand alone video games and maybe any e-books you down loaded. Even a car that would be good until you run out of gas. Boy you think the price is high now. With no power to handle the gas pumps someone with knowledge of making a hand pump could easily charge $20 to $40 a gallon during a nation wide shut down. And after a few weeks that may be considered cheep. Your biggest needs after a large scale EMP is food, water and protection. all set up for long term. One of the major things needed to do is get out of the city if that’s where you live now. But that could also be the most dangerous thing you do. Facing all the others doing the same thing. Guess the saying the early bird gets the worm would fit in here a little bit. I’m sure there are those that have a bug out place with several marked ways of getting there. But the longer you wait the harder it will be to do so without risk to you and family. I agree HH! Protect those tablets and cellphones at all cost; who CARES about the water and food right? Make sure you get your priorities straight! Yes, Elaine 🙂 I had to chuckle when I read that. Geez… REALLY?!?! Gimmie the hand tools and hand appliances and PLENTY of food stores. ….Especially an axe and a saw to work up the wood we’ll need for cooking and heating. I was thinking the same thing. 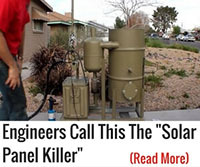 The only part of the article i found informative was with the solar panels. I have thought about this and whether i needed to purchase a whole new solar system including the panels (which would set me back an additional 30k for the panels). Now i find that i only need to invest an additional 500 bucks. Protecting electronics may prove to be a waste of time and energy. There are some two way radios that use Bluetooth to send and receives texts via a phone without a network, but it seems like most electronics would lack network support post EMP. One’s time may be better spent acquiring manual, non electronic/electric, tools to aid in day to day life after such an event. For people with wells, a tool like the Emergency Well Tube (emergencywelltube.com) would allow them to maintain access to clean water without electricity to run a well pump. Those with the tools, skills, and knowledge will be the ones who thrive during a crisis! Much better to get and learn how to operate a HAM radio, and keep it caged up (if it’s not old enough to withstand). Also remember NOT to transmit out if it could be dangerous for you to be found (just listen, to figure out what is going on). If I do nothing more than attach a metal strip from my truck frame to the ground, will that afford adequate EMP protection? I have a 2015 Chevy Diesel. 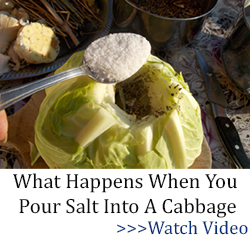 No, and grounding if not done properly can increase the damage. Parking your vehicle in an underground structure or in a metal enclosed will help. Car covers with woven metal can also be used to reduce damage. Look for Faraday cloth. Nope! If Russia wanted to get us, they would have done it long ago; they have certainly had chances and MOST certainly have had more than sufficient provocation from the US and it’s allies! Putin has turned the other cheek 459 times at least! And China? (Or Chinee, as Yosemite Sam would say!) Nope! They NEED us to buy their stuff, and we are one of their best trade partners. What possible good would it do them to wipe out the US? (Not that I would blame them!) And North Korea??? That’s all a bunch of propaganda bullcrap! If all you ”listen” to is mainstream media progaganda BS, then you will be cowering over NK every day and every night. What the HECK has NK ever done to us to really scare anyone? NK does not want to be bullied; plain and simple! However, all this being said, if an EMP should happen, it will be blamed on one of the above, the same as any possible hacking job is blamed on them (as you will note, LONG before there has been time to really investigate anything–the same as all the jetliner crashes). The only people I know of who believe this BS are people who listen to and believe MSM. It’s a shame people don’t do more research on these topics. USS Donald Cook anyone? Putin could have wiped out everyone on that ship and then the US. BUT HE DID NOT! He only embarrassed them. Did ya’ll hear how many navymen resigned after that ship limped in to shore? Wouldn’t an EMP knock out the electronics in all cell towers rendering all cell phones useless? Or do all Cell towers have EMP shielding? Blue tooth enabled devices connect to other electronic devices in order to operate. If there is an EMP and my car gets “Fried” my blue tooth enabled phone, protected against an EMP, won’t be connecting to my car, or any other non protected device. And, my solar panels may survive but all I will have is a charged phone but no network since Cell towers are down. I fail to see how having a fully charged phone helps me when I have no cell network in which to connect. I could use the clock, Calendar, iTunes and the compass App. I suppose. The good news is with cell phones down you can get your kids back. After lets say several years before they can get it back up we, discover that life was better without it. Would we let it come back, and lose our kids again. Anyway to harden a modern auto against a EMP ? River Rex, I’d suggest you look for an older car or truck without the electronics. I have a ’67 corvair. It ain’t pretty, but it’ll work. …But after an EMP, I’m probably going to stay home an hug my AR-15. It’s nice to know, though, that if I have a need for a car, I’ll have one that works. Possibly keep the car in a Faraday Cage? But you would want to keep it in there all the time and use it for a spare. And speaking of which, there may be spare parts for the car you could keep in a Faraday Cage, if you were using the car? Of course, getting the car back home (you KNOW if it happens it will NOT be while you’re at home, right?) may make it really tough. Best thing is to get an old car/truck/tractor to use, and keep spare parts for it, so that if everything DOES go to crap, you’ll be able to do the upkeep on it. And you’ll need to be sure you can protect it–you will certainly need to! Search the internet for articles on the subject, but the EMP Commission found that most cars and trucks still worked. Of course, they were testing these vehicles over 10 years ago, and there are questions about the tests used. If the worst case predictions of others are considered, from what I have read, gasoline powered vehicles produced before 1975 when electronic ignition systems were introduced, are good to go. Some diesels produced as late as the early 90s are good to go. Use due diligence and read up on this issue yourself before you make a decision. There are all sorts of opinions out there because real world testing is a non-starter. I am not an electrical engineer (and I don’t play one on TV 🙂 ) but I have read many other articles on the internet that would indicate that some of the suggestions about ways to protect devices described in the last paragraph are inadequate. Of course, it is difficult to test these things in the real world. I suggest that readers do an internet search concerning how to construct an effective Faraday Cage and also about how to seal potential “leaks” with conductive (not nonconductive) copper or aluminum tape. We recommend having replacement diodes for solar panels. They may be the most susceptible part of the panel itself and of course we recommend backup charge controllers and inverters as the author suggest. I try to mostly run equipment capable of working without inverters on 12vdc or 24vdc for efficiency and simplicity. Less points of failure = fewer failures. You keep the replacement parts in a Faraday Cage, right? Cell towers will be down, so will your GPS gizmos. HAM radios, CB’s and walkie talkies will be up and running if protected from the EMP and you can keep the batteries charged. Hence, solar power. Also, better have some ” paper ” maps and a compass if you plan to go anywhere. Also, battery operated tools will be OK if protected. Don’t forget about hydro and windmills. The problem with all electronic devices, even if they continue to work after some electronic event and contain valuable information such as saved e-books, maps, etc., is that they are all dependent upon a battery. Sure, you may have a solar charger that charges your device, but eventually, tomorrow, next week, three years from now, at some point the battery will die. Then you will have a dead electronic paper weight. The same applies to battery powered tools. I still have the Sandvik hand saw that was the first tool I bought after I got out of the Marine Corps. It still cuts wood. In July of this year it will be 60 years old. See if your DeWalt zip saw is still working 60 years after you bought it, electricity or not. If it is, how many times have you replaced the battery? Even when it needs sharpening, my Sandvik still cuts wood although not as smoothly or as rapidly as when it is sharpened. Moral of the story? As so many others have indicated, hand tools, hand tools, hand tools, including kitchen utensils. If you are using a blender, think about acquiring a hand egg beater. I haven’t looked, do they still make such things? Do you have a nifty expensive electric pressure cooker? Can you use it on a charcoal barbecue? If not, better start looking for an old fashioned gas range pressure cooker. Can your propane barbecue also burn charcoal? If not, better scout around for a not too used charcoal barbecue. You can burn both charcoal and wood in a charcoal barbecue. The ubiquitous G.I. ammo can makes a handy, reasonably priced Faraday cage. You can even get them at Harbor Freight now. Sure, they are made in China, but steel is steel and the lid fits tightly on the can. Be sure to check the lid fit before you plunk down your dollars. Midwayusa.com is selling used as well as brand new ammo cans which I believe are made in the U.S.A. They grade the used cans so you have some idea what you are buying. Personally, except for handheld radios, led flashlights, some solar lights, I am not spending a lot of time and effort on trying to protect my computer and telephone. If I wanted to use them to store information, I would acquire a separate phone and laptop and store the information on them that I felt was imperative to keep and place those electronic items in a Faraday cage, together with charging units for them. That would be the electronics I would depend upon. I would consider my day-to-day phone and computer to be expendable and only keep such information as I use daily on them. You might also store your valuable data on a thumb drive and store it in the Faraday cage also. Egg beaters (the old ones) are on Ebay! I was looking at them a few weeks ago, and yearning for the old days! I use a fork to scramble eggs now, but the egg beaters were easier, and I LOVED playing with them when I was a kid! What I had thought of was getting a small DVD player and keeping in a FC. As far as I’m aware DVDs should be okay. What I had been thinking of was a solar (small) charger to keep in the FC, for flashlights and DVD player, and small things like that. I BELIEVE you can also get solar battery chargers for AAAs and AAs. I bought a bunch of rechargeable batteries, too! It’s a common misunderstanding that a Faraday cage has to be grounded. Grounding is very important to protect against lightning, because it gives a bleed path for the energy, but the same does not work for a radiated wave. Radiated waves reflect off and are absorbed by conductive barriers, regardless of whether or not they are grounded. Also, in the case of a conductive enclosure, aka a Faraday cage, the electrons on the surface of the metal redistribute themselves to cancel the field inside the structure. Again, grounding doesn’t really help or hurt. A simple way to see this is to an electronic receiver something in a conductive bag (ungrounded), and you will see the signal inside drop noticeably. Hope that helps. My knowledge of electricity is limited to: You will only put a paper clip in a receptacle once to test if it is hot or not. When assessing whether to rely on information, I always attempt to determine either the practical experience of the person relaying the information or his educational experience. Arthur Bradley has both empirical experience and theoretical knowledge, so he satisfies my criteria for reliance. That said, I know that there are vendors selling protective material that is advertised to reflect the radiated waves. You can buy enough to make a bag for your car, much like a car cover. It is quite expensive and I am unsure how you could protect the underside of the car. Personally, I think you would be better served to purchase and learn how to effectively use a quality mountain bike and stock up on tubes, tires, tire pumps and replacement parts for the bike and invest in a couple of good bike maintenance books. If one commutes some distance from home, a folding bike in the trunk of one’s car might be a real life saver. I recently saw an intriguing folding bike. It is the Paratrooper by Montague. It has a heavy duty kickstand on the back like one sees in the Far East on freight bikes. You undo two connectors and the back folds under the front and stands on the kickstand. It has a 8 speed derailleur and 3 chain rings and is geared like a mountain bike. It has disc brakes and the best part is it is slightly under $900 which is reasonable for a bike so equipped. Not shilling for the Montague company. This is the first I have heard of them, but the bike is certainly worth investigating if you are concerned about some kind of event that would make your car inoperable (along with most other motor vehicles) and your commute takes you a long ways from home. Lots of folks live in Lancaster and Palmdale in SoCal and commute close to 100 miles into Los Angeles every day. For the average commuter that is like a five day hike under the best of circumstances. Even if you are out of shape you should be able to do it on a bike quite easily in three days. That’s only 30 miles a day. Don’t be fooled. Fifty miles a day is 5 hours of pedaling at 10 miles per hour average speed. That includes going up hill as well as downhill and it takes far longer to go uphill at 4 miles an hour than it takes to go downhill at twenty miles an hour, so ten miles an hour average speed for someone who doesn’t ride regularly is moving right along. Let me assure you, if you are not a regular rider, five hours in the saddle will leave a significant impression on the part of your body in contact with the seat. Most end of the world writers are way too optimistic about how much mileage you can cover in an EOTW situation. Forget about the 150 miles in three days on foot to your bug-out location. Never happen. I don’t care what you did in the Rangers when you were 20. This is here and now. I will not usually post much negative about an article, being one of those if you cannot say something good do not say anything at all. But I feel I must comment on this article. The information is wrong, pure and simple. It is the E1 component of an EMP that is the very fast, very high energy part that fries electronics not connected to the power grid. The E2 is slower and not too much effect. The E3 part of the pulse is the long time-frame part, lasting up to several seconds, that energizes any long metallic objects again, after the E1 pulse. If the E1 part has not already fried things, the accumulated energy on the lines from the E3 will severely damage anything hooked to them that has not already been damaged. Any cell phone case that allows the phone to receive and make calls does not protect the cell phone from an EMP E1 pulse. The electronics in the cell phone will still be vulnerable to the EMP to a degree. That has more to do with the frequencies involved. But unless the cell phone is inside a case that totally prevents it working is it fully protected from an EMP. Metallic objects do not ‘attract’ the EMP. The EMP is exactly what it says. An Electromagnetic Pulse. It is a wave of energy that starts at the point of origin and spreads out in a balloon shape, modified by the earth’s magnetic structure until it dissipates at some point after traveling through enough air to absorb all the energy. It passes through (or around in the case of a proper Faraday cage) everything in the path, including as deep as five feet or more into the ground, depending on the ground composition. Linear objects, primarily metallic ones, if aligned with the source of the EMP can carry the EMP energy and re-radiate it. This includes railroad tracks, though they have some insulated breaks that might stop it. Power lines, above ground metal pipelines, and wires and metal pipes in the ground, depending on the exact circumstances. The more toward a right angle to the source of the EMP a linear object is, the less energy it will pick up as the energy passes over it in a matter of nanoseconds, as opposed as a constant input as the energy travels in the same direction, adding more and more energy to the conductor. There are many more inaccuracies in the article that I do not have time to go into. I hope that the editors of the usually excellent site have someone on staff look at the article to evaluate it, and then take it down. Also, in response to some of the replies. Smart phones, though not simple cell phones, have many uses even if the grid is down, the cell system is down, wifi is down, and the internet is down. My smartphone and my tablet are both integral parts of my prepping. I have a large number of apps on both of them that work without any outside connections. Navigation, first-aid, plant identification, prepping books, survival manuals, many of my own written notes in .pdf. Everything is backed up, and I have a backup smartphone as well. And ways to charge both without the grid and even without using one of the several solar chargers that I have. The same goes for my laptop. Without any external connection, all the tremendous amount of information that is on it, including over 55,000 kindle books (almost all of which I got when they were free), and my own research and compiled information, which is also all backed up in multiple places, is available to me. That is, of course if this particular computer in in the Faraday cage. If not, the other three laptops that are in Faraday cages can access the information. And all have the means to be run and/or charged several different ways. Oh. And the computers, and slightly less extend, have programs that allow me to do all sorts of useful things. Keeping inventories, making plans, trying various numbers in formulas to check the best approach to something. All extremely valuable resources when the world in general comes to a halt. Any electrical or electronic device that is not destroyed or damaged beyond repair by an EMP can be put back into use at some point. An EMP does not destroy electricity. It only destroys some things that use it. Electricity will be around a very long time. People have generators that are protected from EMP. People have solar PV, micro-hydro, and wind turbine electrical generating systems protected from EMP. And, if necessary, basic systems can be, and will be constructed after the event. Electricity will not go away after an EMP. Hi Jerry, it sounds like you’ve put all your devices to good use. Me? I’m old school 🙂 I’ll read my maps and read my books. …Do you have a few backup batteries in the event the ones you’re using fail? LCChuck made a good point about that somewhere up above in the comments. Yes, I do have backup batteries for everything that uses them. But I also have the pieces and parts to convert battery powered devices to convert the batteries many of the devices used, such as tools, too use other types of batteries inside when the original is beyond use. Also components to use a belt or sling carried battery with the item. And, finally, I have the parts to convert most of the items to corded use. Yes, batteries die. But the item, most of them at least, if not physically damaged or fried by EMP, will work from any source of electrical power that provides the right voltage with the right current. I feel after some society altering event, from whatever source, re-establishing electricity will be a priority item. not so much on a national level, but on a local level. I think we will not see the whole country tied into just three power grids as we are now, but many smaller generators serving a more limited market. If we have the power system we had in the 50s and 60s, we would not be in the vulnerable position we find ourselves now. The power that supplied the area where I have lived since ’68 was generated locally. Most of its customers could see the power plant which has been closed for a couple of reasons. A company was going to use it to supply peak electric power but the regulatory circus they had to go through made it economically unfeasible, so the plant sits idle. Perhaps after a life-changing electrical event, it can be put back on line. It’s an old fashioned steam-generating plant. It can burn low grade fuel oil or natural gas and can generate enough electric to support the local area. Left Coast Chuck, you are spot on with your analysis. There is a school of thought that says many of the cities may just be abandoned due to loss of population and the amount of resources necessary to make them viable again. Getting food production going will be a priority, with transportation a close second. Food production takes a while, and that can be happening while transportation is being worked on. It does no good to have supplies and no way to get them to where they are needed. Transportation also includes fuel production and storage. Electricity will go to where those two projects can be supported. Rod, one of the books I read talked about the people starving to death, while people in the midwest who grew lots of wheat, corn, etc., had all the food going rotten, because they could not ship it anywhere. Was a real eye -opener! I agree. As I said, electricity will not disappear. There simply will not be a large grid. Everything, at least for a long time, will be local. But electrical items and electronic items will still be used by many. And will give most of them a great advantage in surviving short and long-term. THANK YOU ! for explaining E1, E2, & E3. ….. the poster cited them and really didn’t say what they even were. This article does have a number of errors, but your information is very good, Jerry D. I would like to add this: If you have an off grid solar system, and if the charge controller is damaged by an EMP, you can still use the system to charge batteries. Assuming that the battery voltage and solar panel array voltage match (a 12, 24, or 48 volt system), you can connect the solar panel array directly to the batteries for charging. But, you MUST be very careful NOT to overcharge the batteries. If you have a digital multimeter in protected storage, you can monitor the battery voltage. I have two digital multimeters, so that one can ALWAYS be in protected storage. An EMP will probably strike without warning. I also have spare solar panel diodes. An unprotected inverter will probably be damaged, but you can use the DC output of your battery bank to power automotive lamps, fans, pumps, and other things. Be sure to have a battery powered radio in protected storage. Very good point. I was not going to go into much detail about EMP, other than to give the best information I have on the parts of the article I thought might be a problem. I prep for EMP both personally and professionally, and while shielding a phone might seem a waste, if it was only used for data retrieval it might be worth it. I would not trust a phone case to do it because if the case was really shielding the phone, the phone portion would NOT work. Instead I suggest getting as much data as possible on paper and making sure it is protected from fire, water, etc. Yes bulkier and heavier, but a year down the road still usable. Even if you have protected computers and separate data storage power will be your long term problem. Eventually the gas and diesel will be gone, and unless you are into wood gasification or other such technologies you will not have a way to power your electronics, even if your generator and items were all shielded well in the first and subsequent EMP’s. Think 1800’s when you are prepping and you will get along just fine. I wondered about that too! I bought a case for my phone to shield myself from the radiation. I know it worked at first; when you called the phone did NOT ring. But several months later, I read in the reviews for the case that it quit working on people. I tried mine out again, and sure enough, the phone rang when I called it. WORTHLESS!!!! unless it works (and I mean it does NOT ring) it is NOT going to be protected from EMP or CME. We think of smart phones as just communication devices (check the latest commercials, do they tell you can call people?). They are so much more being a small computer that can store information and references besides all the apps available (now how did that knot tie again?). Cameras would still work on them also. They take up so little space and charge easily that who would want a larger tablet or laptop to lug around? 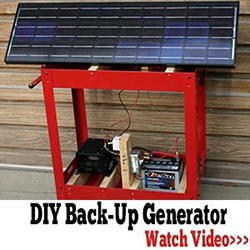 I am putting together a solar generator that will power a laptop and projector. My reason being entertainment for the children and adults. This, in my opinion will help with stress in a difficult situation. A faraday cage or bag to protect the electronics is a necessity. Putting one together for dvds as well. Even an old B&W movie will help take the mind off of things. Saving old board games and paperbacks as well, just in case. Dude, don’t give anybody your address!!! Do you think DVDs actually need protection? I didn’t think they had any components. Or will the quartz maybe shatter? If so, would that apply to large quartz crystals you might have in your house (if so, they’re going to get thrown out of my house)! I have been trying to inform people about the Grand Solar Minimum that is very real and has already begun. It is the Eddy Minimum and is a 400 year cycle of the sun. This link explains all about it. To survive it you or your group will have to grow your own food indoors with 65 degree heat with aquaponics and grow lights. You can build fish tank and grow beds and I am working on designs for easy construction and available materials. I am an 87 year old Industrial Designer so I need help getting all this together. I have designed a metal building to house a small truck engine that can power alternators to charge batteries. Solar panels will have problems due to the clouds produced by the cosmic rays that reduce the power from the sun by 90%. Greenhouses will have the same problem. The grid will have problems from the cosmic rays. The metal building must act as a Faraday cage and a water tank with phase change materials to save the heat from the motor. If you would like to help, my email address is joe.maxwell.design@gmail,com & my phone # is 828-682-7916 in the mountains of North Carolina. So agriculture collapsed 400 years ago in the previous solar minimum and everybody died? What am I missing here? I don’t have the dates exact, but the European Warm Period extended from about 800 to about 1400. Then the Little Ice Age began. The Little Ice Age came brought significant crop failure, livestock loss due to loss of herbage for the livestock and there was significant flooding with rains that lasted months. Consequently there was a significant loss of life. Not everyone died off, of course, but there was significant loss of life from malnutrition and subsequent susceptibility to disease. And, of course, warfare as one petty lord raided another for their foodstuffs and animals. Many preppers are set up to produce a variety of alternative fuels for engines, both mobile and stationary. Wood gas is only one of them. Biodiesel, alcohol, methane for example. Also, wood and coal, along with corn and some other plants that can be grown can be used as solid fuel to operate Stirling cycle and low-pressure steam engines. For strictly stationary power that would normally be provided by a liquid fuel engine or an electric motor, a jack-shaft system can be used to power equipment, that is itself powered by wind, hydro, and even animal power. There are options. Too many for even me to list. It only takes some research, some few additional not too expensive preparations, and a willingness to think outside the box of conventional 21st century thinking. I am doing much the same. I have been preaching long-term survival for over 50 years, right after I research natural cycles for a book I was doing on preparing, in 1975. Having learned much more about the cycles the sun goes through in addition to the fairly well known 11- and 22-year sunspot cycles, along with all the other cycles the galaxy, solar system, and earth have, it became obvious that when several of the key cycles coincided at their worst points that humans would face another great die-off and long-term survivors would be the ones that made preparations for alternatives to current production methods. Vertical grow Aquaponics, with fish, worm beds, and rabbit hutches in heated, cooled, and grow light equipped greenhouses are one. Conveyor systems with grow lights and growing mediums to produce a constant supply of silage for animals is another. Earth sheltered structures for stock as well as humans for protection from not just nuclear radiation, but solar and cosmic radiation for the times when the magnetosphere is weak, and/or the atmosphere has changes, and/or much higher levels of radiation from space are present. The thing is, it is all doable, needing only the understanding that it can be done, and preparations to actually do it, now preferably, but definitely after a major event. The basic article was useful, the comments made it even better – so thank you Rich M.
Relative to using metal containers to protect your electronics, I have read that you should line the container with cardboard or something else so that what’s inside doesn’t get fried from touching the metal container. Also, what about putting your batteries inside a Faraday cage? Seems like that wouldn’t be necessary. The object of the cardboard and paper wrapping is to insulate the items in the cage from the metal of the walls and top and bottom of the cage. If you just place the items in the cage uninsulated and the walls of the cage are uninsulated, there is a chance of electron leakage. My method is overkill, but better than, “Oh, pshaw, the radio shorted out because I didn’t insulate it.” Actually, that’s not what I would really say, but it conveys the general idea. Ack, am I the only one on here who doesn’t have a smart phone or other electrical devices (let alone electronic) that completely dictate my entire life? Sure, I like the internet as much as anyone (here we are, after all!) but spent most of my life without such things before, and am prepped to do so again. A funny story from the late 1980s: my ex-husband and I were placer mining in the high Sierras, we spent a year total there when a very dear friend of ours came down the mountain with a rickety-old gas generator as a fabulous Christmas present for us. He’d been waking up nights while worrying that we’d freeze to death out there in the middle of nowhere without some basic form of electricity. So, he brought us a small used generator and a can of gasoline for Christmas. We were thrilled! But… we didn’t own anything at ran on electrical power anymore, so on our next monthly trip to town we bought a small hanging lamp (the kind that you hang under the hood of a car while fixing it) and a single light bulb. We tried it just once for only a few minutes before figuring out that the generator-powered light bulb involved way too much noise and nasty fumes without any added heat at all. Our old kerosine lantern made plenty more heat with a lot less fuel-per-dollar and no noise or noxious fumes, so we only fired up the precious generator when our dear old friend came to visit with us. There’s a lot of entertaining unsaid back-stories to this very real-life tale, but the major point being is this: you can live perfectly well and happily without any electricity at all if you want to. Perhaps in the future you might NEED to. And, if it comes to that, perhaps it won’t be the end of the world at all. Anyway, I guess this will start all kinds of dog-fights and arguments… gee whiz, I just simply miss the late 1980s, when life in the 1850s was still within distantly a very far reach before all this advanced technology become a complete dependency thing! And we lived well without electricity not so long ago, as we can also do today whenever we want to. It’s just a matter of taking the time to set the old systems up and using them regularly, even while also enjoying the conveniences of some little modern technologies that we can certainly still do without. When the Gamma Rays pass through the atmosphere they knock electrons loose by the Compton effect. These electrons start to spiral down to the earth around the magnetic lines of force of the earths magnetic field. This produces a counter electromotive force that acts as a repulsive magnetic field. This huge magnet bubble forces the earths magnetic field to be pushed downward. As it is pushed down and jiggles, it cuts across wires perpendicular to the magnetic lines of force, not parallel. This causes a pulse of electricity to travel down the wire. A wire that is east and west will have more induced current in it than a wire that is north and south, or at a zenith to the earths plane. It is the right hand rule of electro-magnetism. It’s all good information, but there is one important thing missing here. That is; I read nothing here about prepping for fires that are sure to follow a destroyed power grid. In 2018, California recorded 8,527 wildland fires. And if I read the data correctly, this does not count fires unrelated to wildlands. And consider that virtually all of these fires were put out by various firefighting agencies – that will not exist after an EMP. To make matters worse, I believe that there could be more post EMP fires than now. For starters, the melt down of the grid itself will probably add more ignition points, just as the Carrington event in 1859 was reported to have started fires in the telegraph system. Then, depending on the time of year, we will have a significant part of North America’s population building camp fires for heat and cooking. And since many of these people have had very little experience with fires, there will be many that spread out of control. And once a fire grows out of control (in some number of minutes), there is nothing that a few individuals on foot can do to stop it. Bottom line; I suspect that within days or weeks, most everything burnable in California’s wildlands, towns and cities will be gone. This means that all of one’s prepping could be lost during that time. If my prediction is true, I think that the majority of the population will survive. But they will mostly be homeless and with no food or material goods other than what’s on their backs. This will certainly speed up the death rate, especially in the winter. One thought is that this will also speed up the migration of people, and randomly into preppers sites. But with only what they have on their backs, they are not likely to migrate very far. I think this will make preppers in the rural/outback locations safer from marauders – providing the prepper himself, prepped for fire. 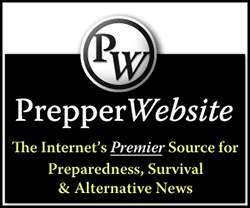 The good news here for preppers (or anybody), is that you do not have to lose your house or cabin to a wildland or forest fire. I’ve been studying this for years and am convinced that 90+% of the homes lost in California did not have to burn. But they did because nobody prepared them for fire. Then they evacuated everyone, leaving the homes unprotected. Prepping for fire does not have to be a costly or gigantic effort. But, to keep this from getting too long, maybe I should continue this subject in a latter entry. Thanks for all your sharing and please add fires to your list of concerns. “Old school” items still work and will still work when the lights go out and total darkness covers the land night after night. How do I dis-continue receiving all these comments as e-mails? My in-box is overwhelmed with comments that I don’t have time to read. Not sure, Randy, but when I want to stop emails from certain senders, I scroll down to the bottom and hit the unsubscribe. You can unsubscribe from the comment thread by clicking on the link: Unsubscribe to this post or Manage your subscriptions. You can find it at the bottom of every email you receive notifying you of a new comment. I have unsubscribed you from this comment thread. Everyone has an opinion….Those who prepare best are those that listen and pay attention to all and then evaluate all they have heard and filter out the BS and the unneeded and apply to them what works. Next…….Power Companies do not want to spend money to have the equipment sitting around taking up space and money…. There is a person’s post above that has all kind of knowledge about batteries and how he is able to put them to use and knows how to modify other batteries for various uses. IF he could share that how to knowledge with all it would be GREAT and most useful! Others have good ideas and share them…..
Something only a few people have realized and others have crapped on are the other abilities of Smart Phones,Tablets, Readers such as Kindle Fire, Laptops..Etc…… Is he ability to store useful knowledge. All of the possibilities on any and every “HOW TO…” project From All Over The World…..EVERYTHING From the Ancient World to Modern Day. The How To and WHEN to Planting and Growing and Harvesting every edible plant, grains Corn Tomatoes Potatoes or Fruit tree or Vines……. CDs and DVDs are not impervious and do not last forever……. Teaching your and other children in the Future to read and write and other subjects…No new school books chalk boards or even paper and writing utensils ink pens and pencils..
People that do have Solar or Wind Gens or Hydro power sources are going to suffer battery issues NOT IF…It is only a matter of WHEN……where do you get new batteries as they go bad? Making and using machines to make parts to replace or make firearms and re loaders and dies and bullets and ammunition that is safe reliable and accurate…. All such knowledge and devices that are working must be kept safe from those that will destroy it and laugh while they do it…..
One can also store an number of movies and classics as well as all Classical and other types of music. Mexico is going down but what about parts of Central and South America?……will no doubt be unaffected at least the further south one goes and there are countries there that MAYBE …JUST MAYBE MIGHT remain friendly and perhaps be able to help some people out..or allow refugees…….The more skills one and things has to offer the more likely the are to be welcomed into a group….Knowing how to fight with or without firearms/knowing how to fight with or against a knife are definitely good things to know and to to be able to teach others…..
And old Hummerland Ham radio with tubes that work can be found on ebay and elsewhere from around $30.00 USD and up. I have one that transmits in Morse Code I do not have a proper antenna for it either. I do not have the skills to be a Morse Code operator or listener…….No doubt someone would want the radio but not me without going into other skills I may have…. perhaps I meet a person than can send receive Morse Code depending on other things I would welcome into a group…. Something to consider when wanting and getting news around the World….Anyone fluent in another language that an listen and translate news from around the World? I am just saying something to consider to add to a group….There are programs on disc that can help people learn a new language or more.. So just saying another reason to have the Smart Phones tablets lap tops batteries protected. Of course Russia and China will be posturing to help America….for a price….Japan Who else? Who knows……..??? If it is Planet Wide Event…… then it is most imperative that all knowledge be preserved and protected ….and shared with those that will put it to good use and also protected from the roving gangs that will destroy all such simply because the can and Destruction is the only power the have and they will not want to lose it. We as Human Beings can once more rise up from the ashes…..and HOPEFULLY learn from our past mistakes and not repeat them…. At least if nothing else give all of this some thought and then some more thought before you start to discard it…. Great insights! This is very much what I believe. And is the reason I am putting together a library for the future survivors to help them rebuild civilization. A large part of it is printed material, stored in the best cases I can afford. The majority, with some overlap, is electronic. At the moment, almost 56,000 Kindle sourced books, almost all of them free. Not just ‘practical’ books, but the whole spectrum of human information from religious texts to romance novels. How-to books to science fiction. Philosophy, music, relationships, parenting, school curriculums, psychology, mathematics, science, everything I can get my hands on that will help people in the future that might not have access to recorded histories of our times in other ways. Information to not only rebuild the physical but information that will, hopefully, allow them to create a better society and civilization that what we have now. And eventually reach the stars. Because I have information on how to do that, too, when the time comes. Backups of the information in several forms, backups and alternatives with which to use the media. Ways to duplicate everything for future methods of use. I know it will sound pretty egotistical, but when I began prepping in earnest in 1971 it did not take me long to decide that my personal survival was secondary to the survival of my family and family line. And that of human civilization itself. Hopefully able to pull through whatever would happen, and begin the rebuilding immediately, rather than a thousand years later. So I decided to prep for 300 years. Not for my life, of course, but to make sure my family line and others would have what will be needed to make a comeback. There are still copies of the Gutenberg Bible around. They are still legible, although fragile. I don’t know about China, but I know there are written records in Japan that are several centuries old and still legible. I suspect the same is true of China, but there has been so much warfare there, there is a good chance old documents were destroyed in war. 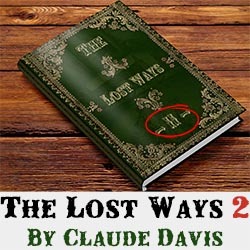 I have no personal experience, but I have read that the tapes from the original computers that the federales first used are not longer readable for several reasons. The first being that they seem to have bled off the magnetism that recorded the date. The other reason is that the tape itself, being close to 60+ years old is fragile and susceptible to breakage. And, finally, no present day computers can read the language that the computers were written in which is hard to believe, but I am not a programmer, so can’t make an intelligent comment on that. This is part 2 about fires, continued from my last entry a few days ago. First key point to know about protecting your house from wildland/forest fires is that, statistically, 90% of lost structures are ignited from blowing embers. Not from radiated heat, or from direct flame contact. This is a big deal! Because this says that if you protect your house from blowing embers, that alone will give you a 90% chance of surviving. Steps beyond that can push your survival rate to virtually 100%. Of course there are no absolute guarantees with fires, or most anything else for that matter. So we talk in terms of probability (%). Back to embers – the first thing one should do for the most gains and zero cost is to clean up your yard. Think of embers falling in the tall dead grass, or pile of dry yard trimmings and old furniture slated for the dump, or dead tree debris accumulated under your wooden deck, or on your wood deck – particularly where it attaches to your house. Also, do not stack fire wood on your porch or against your house. Too many protected crevasses waiting for a hot ember. Trim the dead limbs from the trees and shrubs in your yard. Trim all the lower tree limbs up a few to several feet above the ground. This will keep a ground fire from “laddering” up into the tree. Healthy trees, even evergreens, are fairly fire resistant. But, get a ground fire going under it, and the rising heat will dry out the lower foliage leading to ignition. You do not have to clear cut everything down to dirt, and out 300 feet as some have done. In fact, tests have shown that it is better to have some healthy trees and shrubs scattered around your yard. Same goes for a garden, flower bed, green lawn, etc. They work well in stopping blowing embers before they reach your house and have little chance of igniting. Generally, a well-kept yard is the best. An exception is; do not have a flower bed against your house covered with wood chips. They will light up resulting in direct flame contact to your house that could work up under the siding and into the wall. While a stucco wall is great, embers seem to bounce off wood siding just as well and fall to the ground. The exception would be if the siding is in poor condition with holes or places where embers could attach. When I first moved into this house many years ago, the cedar planks had knot holes, through to the attic! Siding needs to be well sealed. Blow the tree debris off your roof and clean out your rain gutters. I have my gutters mounted on hinges, so that I can turn them upside down to empty, or during fire season. Otherwise, the hot embers roll down your roof into the gutter. A fire there can work up between the fascia board and your class A fire rated roof and into the attic. Plastic rain gutters will also catch fire if the debris in them catches fire. Steel gutters are the best. Another ignition point is embers blowing through your attic vents and starting a fire in the attic. There are ember resistant vents on-line. But I’ve heard it said, including tests, that covering them with a fine mesh metal screen with smaller than 1/8” openings, maybe 1/16” does the trick. They say one should do the same for the crawl space vents under the house. When you are aware of a fire approaching, get rid of the grass welcome mat at your front door. Move all the combustible yard and deck furniture inside. Close all your doors and windows. Take down all the window curtains and blinds. Enough heat has been known to pass through the windows to start a fire inside the house. Pull all the dead grass at least a few feet from your house and deck. Ideally, there should be nothing growing next to your house. That 6 foot high shrub under the bedroom window may be more flammable than you thought. My house is surrounded by a 4 foot wide concrete side walk, or gravel, or decking, all where nothing grows. Regarding decking, mine is free standing (does not attach to the house) with a 3/4“ space to keep combustibles and water away from the siding. Also, tests have shown that planks on a wood deck should be spaced at least ¼” apart. Narrower spaces are good breading places for hot embers. But, I wouldn’t replace your deck just because it doesn’t have these features. There are cheaper remedies for that. Again, this is getting too long, so I’ll add a part 3 later. But just doing these things will put you way ahead of your neighbors. Some people like to poo poo the idea of a Faraday cage to protect their electronics but they will find out too late that their are indeed items which should be given a high priority. One of them is two way radios, am/fm radios, laptops with libraries, cb and ham radios. I have solar and wind recharging systems with spare components connected to 24 deep cycle batteries that can run all of it. I even have made my garage a Faraday cage with several vehicles and a boat in it. Communication and information and transportation along with redundant power sources. And i still have my water source and beans and bullets. Anything less is…uncivilized. Jeremiah. How did you add faraday cage qualities to your garage? This is part 3 about fires, continued from my last entry a few days ago. For this part let’s jump ahead to what I have found to be the ultimate fire protection for a typical wood frame house or cabin. That is; rain bird type sprinklers on the roof. These are not to protect your class A fire rated roof, even though they do that too. These are to blow water as far as possible out into the trees and shrubs near your house. My experience has been that after about 10 minutes, it feels like light rain coming down everywhere and water dripping from everything which serves well in stopping hot embers and holding the main fire front at bay. My preference is to have them running at least a ½ hour before the fire arrives to get everything well soaked. Contrary to my original assumption, it’s not necessary to get water into the very tops of the 100+ foot high trees. According to my understanding, as the fire approaches your wet area, the huge updrafts it generates, pulls the moist air into it and up, making your wet area unfavorable for fires. I’ve seen post fire aerial pictures of cabins in the forest with one or more rain birds running on the roof. Each one was surrounded by a green donut of vegetation, and everything out from that were ashes. Searching the internet, I’ve literally found hundreds of houses that were known to have operating sprinklers on the roof and I’ve only found one structure, a resort, that was lost to fire. But the sprinkler system was unknown and probably inadequate. Again, there are no guarantees. And every structure has a different set of circumstances. These will not work where there is no water. Even if you have water, a fire coming through may shut it off. If you have a well, you’ll need a backup generator for when the power goes out and plenty of gas or propane to keep it running for as long as embers are flying, which could be days. If you are on a community water system with plenty of storage, you can be sure to lose pressure as other houses in your community burn and collapse, breaking their water pipes. The solution is to have your own water tank and pump. But, they are expensive and time consuming to guard against freezing and contamination, even if you have convenient space for it. My solution is a 1600 gallon portable, frameless water tank used by fire departments for temporary water containment. For storage, they roll up into a ball of less than 2 feet in diameter. When a fire is threatening, I can roll it out and fill it in less than 1 ½ hours. Then I would run my sprinklers on community water until that pressure goes away, before switching over to the tank. Another important point is that in a forest/wildland fire, the main front passes a given point in a matter of minutes (1-10). Following that, there will be many small spot fires slowly burning themselves out, but no longer the main heat wave. A bigger problem would be if there is another house close to yours. It may take up to an hour to burn down, depending on many details. If water for sprinklers is not available, there is another approach that is about as effective. That is to stay with your house and protect it, assuming it’s reasonably prepped for fire, and you are physically and mentally prepared. This thought typically generates images of a home owner trying to save his fully engulfed house with a garden hose. NO — That’s not what you do. You are there to put out small spot fires that start from blowing embers. All fires, except an explosion, start out small and then grow to be big. These small fires can be put out with a water soaked towel, a shovel, a hand sprayer, or even a water backpack made just for this purpose for about $170. In this scenario, one would wet everything down around his house with the garden hose as long as there was pressure. Then patrol his property looking for small fires, and in many cases watching over a couple of his neighbors houses too. For whatever it’s worth, every account of this that I’m aware of, the owner was successful in saving his house. Here again, searching the internet, I was not able to find any deaths from this. Yes, human remains have been found in and around burned out homes, but there was no evidence that those people stayed to protect their house. Another important point is; the safe distance from a large tree or house that is fully ablaze. For humans, a rise in skin temperature to 120 degrees F is painful. But it takes several hundred degrees to ignite a combustible structure. And that published distance is about 40-50 feet, a place where humans could not tolerate. My observations have been 20-40 feet. A home owner can protect themselves from the radiated heat by moving to the far side of their house, or in their house until the heat source burns itself out a few minutes later. Then return to extinguish any small fires that may have started. This assumes the fire (if any) remains on the exterior and not the interior. While this series of fire comments skipped over a lot of details, I think most of the people reading this can fill in the blanks needed to fit their particular circumstances. I apologize for the length. Bottom line of this is that small electronics not connected to anything, like smart phones, laptop computers, appear to survive simulated EMP pulses. Sol-Ark https://www.youtube.com/channel/UCsEubuuu64okYXQtBOAxhSw is also testing and at 2 x the mil spec. 50,000 volts per square meter shows that solar panels not connected will survive. Properly connected, they will also survive. They also sell an EMP proof inverter for about the same price as others. They tested a number of other inverters resulting in total failures. This indicates that, while Faraday shields still serve a purpose, their construction may not be quite so critical. Another site claims that only about 5-!0% of the cars will be disabled. But, everyone agrees that the power grid will be toast. The biggest problem will be power surges entering your house from the E3 (long wave) portion of an EMP that can last up to 5 minutes. Therefore, if one can get to their main breaker fast enough, they should shut it off. But, that won’t stop the faster E1 & E2 portions of the pulse. Question I got a large screen TV a few months ago. It was in a large cardboard box with Styrofoam all over it and raped in a plastic bag and as you know not plugged in. Say an EMP explosion powerful enough to knock out the inter nation. exploding center of nation, would those TV sitting on Walmart shelf in their boxes be any good. Also computers and other things still in their shipping boxes never used would they make it. Allen – wish I had an absolute answer, but too many unknowns. Can say this; all of the cardboard, foam and plastic packing materials will be of no help. Those non-conductive materials look invisible to an EMP. Given the published testing info, the lap tops and possibly the desktop computers may survive. Big screen TV’s have longer leads (Wires) connecting some of the points inside which act like bigger antennas. So that may lead to their destruction. The smaller the electronic device, the better the chances of survival. But the many unknown variables could override this generalization. – My opinion. Do not neglect to get in good physical shape for the aftermath of an EMP attack or for the aftermath of other disasters.For example, are you ready to climb stairs when you cannot take elevators? Are you ready to walk or bicycle when cars do not run and gas stations no longer can pump gas? Tip #1: Be sure to test your Faraday Cage by placing a radio or cell phone inside, and powered on. If it is still functional (plays radio broadcasts or receives phone calls), your Faraday Cage is not working. If those signals can get in, then so can a destructive EMP pulse. Tip #2: Double up on things that will be important, after a destructive EMP. For example, I have 2 digital multimeters. One stays in a Faraday Cage at all times. The unprotected one is for everyday use. Tip #3: Have multiple Faraday Cages, not just one big one. Most likely, an EMP attack will include more than just one explosion/burst. Each time you open your Faraday Cage, everything inside is exposed to an unexpected EMP. Tip #4: If you don’t have an off-grid solar electric system, build or buy one. Imagine life without electricity, especially when batteries die in flashlights, and you run out of candles. What happens when you run out of gas for your generator, and can’t get more? Even a small system helps, but one big enough to power a chest freezer will keep your food from spoiling. I am no electrical engineer (and I didn’t stay at the Holiday Inn Express last night), so I am hesitant to challenge anyone. I have seen plenty of articles and YouTube videos that talk about testing a Faraday Cage with a radio or cell phone. I have also seen articles and YouTube videos that say that this is not an adequate test because the strength of the EMP is much greater than radio or cell phone signals. I will simply have to wait for people with better credentials than I have to figure this out. It is a maddening subject. For example, some people say that you should ground the Faraday Cage. Others say that doing so is a mistake. Survivorman 99. The study and implementation of EMP protection can be a career all in itself. Too many variables to consider to give targeted advice to individuals. The best you can do is the best you can do, and then hope for the best. There is EMP testing available, but I have only seen it used in very expen$ive project$. 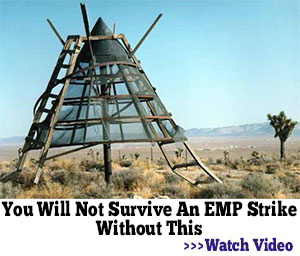 If some survival/preparedness writer has some deep pockets, professionally testing various homemade EMP protection schemes would be a VERY worthwhile article. A Faraday Cage that is effective for a weak EMP, perhaps a glancing blow from a weapon exploded a thousand miles away, may not be effective for a strong EMP from a powerful weapon exploded overhead. If you wait for someone to figure it out, you’re never going to be satisfied with the answer, unless you’re trying to protect your equipment up to a certain signal strength. The radio test is not ideal, but it’s better than no test at all. It would be foolish to trust a Faraday Cage that allows radio waves to penetrate. For important items, I use nested cages (cage within a cage). I don’t ground any of mine because that creates a signal path, and an opportunity for destructive current to flow. But at the end of the day you’re right, no one knows for sure. FYI, most of my things are wrapped in 6 individual layers of heavy duty aluminum foil with overlapping seams, not 6 layers at one time, and then they are placed in galvanized garbage cans.